A couple of years ago my friends and I were given a special behind the scenes tour of the Botanical Interests Seed Company in Broomfield, Colorado. It was really awesome to meet everyone who works behind the scenes and to see all the seeds and how they are packaged. 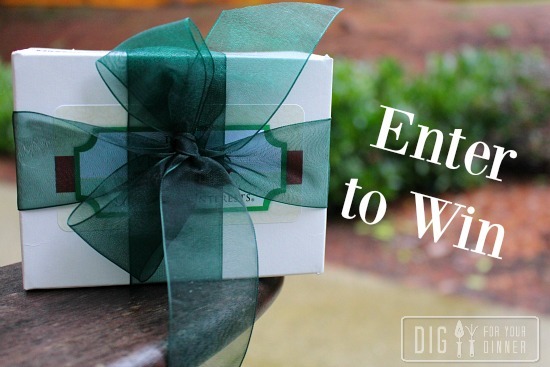 I have been using Botanical Interests seeds for about 5 years now and let me tell you Bob, I think they are pretty awesome and I’m super pumped to be offering this giveaway to one lucky Dig for Your Dinner reader. If you are looking for seeds to plant in your garden this spring, you’ll totally want to enter this awesome Botanical Interests seed packet giveaway. What Do You Win? The Botanical Interests Baby Vegetables Seed Collection. These are vegetables that can be harvested young for tender salads and gourmet recipes. Life’s pretty complicated sometimes, so I like to keep things simple around here. You have FIVE ways to enter: 1 required and 4 bonus entries. That means you can leave a total of FIVE comments below for FIVE awesome chances to win. 1. *REQUIRED ENTRY* What is your all time favorite vegetable to plant in your garden? Leave a comment below letting me know your answer. 3. *BONUS ENTRY* Start spreading the news. Share this giveaway with your peeps via Facebook, or Instagram! If you don’t do the social media thing, just send out an old fashioned email about this awesome giveaway. Leave a comment below letting me know how you shared it. 4. *BONUS ENTRY* Head on over to my Facebook page and leave a comment on one of the posts or pictures there. Come back here and leave a comment below letting me know which post or picture you commented on. 5. *BONUS ENTRY* Subscribe to my daily emailed newsletter. It’s an easy peasy way to make sure you don’t miss a thing. Plus, I’m way too busy gardening to spam you, so your email address is safe with me. Leave a comment below letting me know you subscribed. 5 entries per person/ip address. If you cheat, you will totally be disqualified. This giveaway is only available to US residents. This giveaway ends Sunday, January 24th, 2016 at 6pm PST and the winners will be announced Monday, January 25th. You will be notified via email and have 48 hours to claim your prize. Prize will be forfeited within 48 hours. Good Luck! I hope you win. Ooooo, you had to pick a hard question. I would say bush beans. They are yummy to eat fresh and canned! My all time favorite has to be green beans, because the will always grow despite our lousy weather. Zucchini, there’s always an abundance! Parsnips. I love that they are low maintenance once you get the seeds to sprout. Tomatoes. I love them fresh but use them all Winter canned, juice and frozen. I follow you on Instagram, etc. Visited and liked on Facebook. My favorite veggie to plant is (man this is so hard) carrots. There are so many varieties and easy to grow. Roma Tomatoes, they are my fav to plant. Sounds funny, but the whole plant smells “green” to me. I just love it! Definitely green beans! They are the garden candy of summer. Tomatoes! I follow you on Instagram. I commented on the PowerLine post. Green beans. Half runners with strings. 🙁 Extra work, but we think they can the best. I have ordered some seeds, and I am anxious/nervous to try starting my own seeds this year. My favorite favorite favorite vegetable to plant is patty pan squash (Sunburst variety). It’s so good! Kind of puts regular old zucchini to shame in stir fry. My all time favorite is tomatoes. I Subscribe to your daily newsletter! Zucchini! Always have to fight the squash bugs but totally worth it! I planted black cherry tomatoes last year along with other varieties, but those were definitely my favorite. My girl’s loved the sugar snap peas. I follow on Instagram, don’t do Facebook. Peas! They grow so fast and my kids will actually eat them! My favorite thing to plant is beets, even though it is not my most productive plant. Just shared the contest on Instagram. Subscriber to Dig For Your Dinner. So excited! Sugar snap peas!! Num num num. SO excited! I ordered them some seeds this week-end (through your website since your links are affiliate 🙂 ) and I didn’t get any of those!! For me it’s tomatoes!! We got SO many 2 years ago, it was so much fun!! Even my grand father who is the master of tomatoes was impressed about our plants! Peas! I love to grow peas and my children love to eat them. I subscribed to your newsletter! Super stoked as I didn’t realize you had this site. Right up my alley! Arugula or mustard, so yummy! Tomatoes are my favorite! Nothing better than a tomato straight off the vine! My favorite thing to plant in my garden is Tomatoes. We would be lost without them. We can salsa, sauce, and ketchup from them every year. Saves lots of money! I love to plant lettuce. I don’t have the greenest of thumbs, but it always comes through for me! And followed you on Instagram! Nothing like great garden photos to get me excited for spring. Tomatoes! The kind from the store just taste like cardboard. Hi! I followed you on Facebook. I would have to say tomatoes. Have some fresh, can them, freeze, so versatile. I shared the give away on Facebook! My all time fav. is cherokee purple tomatoes! I am planting some of the seeds to day in my greenhouse. Thank you for all the great information that you put in your news letter. I left a comment on the give away post. It talks about how I’m dreaming of baby carrots! I subscribed to your daily e-mail newsletter. What is your all time favorite vegetable to plant in your garden? Commented on Facebook that my chickens love swiss chard on you chickens and bright lights swiss charge post. My all time favorite vegetable to plant in the garden is cucumbers, because they grow up my trellis and my cats love them. They like to lay under the cool shade they provide and lay in the cool dirt after it’s been watered. My favorite would be tomato but since they are not a vegetable, I would say sugar snap pea, the kids love them. Tomatoes! Store bought ones don’t even compare! Roma tomatoes. Eating sauce that I made over the summer still. My favorite vegetable to plant is sugar snap peas! Subscribed 🙂 to the daily email newsletter !! Cherokee Purple Tomatoes are my FAVORITE! I follow you on Pinterest, Instagram and Facebook. I posted a comment of your post about the grow lights. Spaghetti squash. Set it and forget it as they say. Also, one feeds my family of 2 for a week and they keep for a LONG time, usually till next spring. Hey Mavis, My favorite thing to grow is definitely sweet peas. They are super easy to grow and yield a large amount. Also they have such a variety to eat them….with or without the shell. 😀 p.s. I follow on IG. I love to plant green beans. My kids will sit and eat them in the garden. I commented on your Meyer Lemon pound cake recipe post. I just commented on the Butternut squash and lentil stew, can’t wait to try it! Lettuce is my favorite! It is the first veggie and the last to be harvested from my garden. Tomatoes! Nothing better than a tomato fresh from the garden! Garlic is my favorite for the moment! I love that it grows through the winter when not much else does, and it’s the first thing I ever grew a year’s supply of in one season. My favorite thing to plant (and usually eat right in the garden) are peas! I subscribe to your updates via email. My favorite garden vegetable is snow peas. I commented on the Vegetarian Lentil Stew Recipe….it looks good!!! I shared the contest with my friends on Facebook! I love to plant herbs in my garden, if I had to pick one it would probably be thyme. I love the smell and use it so often. I do like you! I like you on Facebook, follow you on Pinterest, and subscribe to your news letter. Still trying to figure out Instagram. I shared about the giveaway on Facebook. I love home grown tomatoes, all kinds of varieties! & cucumbers & zucchini! I’m a sucker for some tomatoes. There is just something that makes you feel so accomplished when you manage to grow and harvest bunches of tomatoes. Love both of your sites Mavis! We love our tomatoes. And the runner up would be swiss chard. I’m digging your new site! I commented on your post about the third week grocery expenses. I’ve subscribed to your newsletter for quite a while now. My favorite thing to grow in the garden is Strawberries!!! Fav vegetable to plant is any variety of pepper. Pole beans are fun as they get so tall! I like to plant baby lettuce under the bean trellis. I like and follow you on Facebook and pinterest. Okay, it may be cheating since technically it’s a fruit, but my all time favorite things to grow are tomatoes!!! They are so pretty when ripe, taste 100 times better than store-bought, and there are so many different varieties and uses! Bush beans are my favorite. I always think I’ve planted too many, but someone we always manage to eat them all! We are big fans of romaine for our small garden. I already subscribe to your newsletter..does that count. Shared the news about the giveaway on Instagram! Commented on the puggle princess helping in the garden post. I want a puppy!!!! Subscribed to your emails and added you into my “MyYahoo” app! My favorite vegetable to plant is carrots. I follow you on fb and Pinterest but heading over to find you on Instagram now! Our favorite vegetable to plant has to be corn. We love it so much I freeze it to have all year. That is ALOT of corn. Sweet meat squash is one of my favorites! My favorite vegetable to grow is Bush beans. Zucchini is my favorite and almost full proof plant in my garden. I can make it healthy or add it to cookies or cake! Started following you on Pinterest. zucchini. it never gives up. Officially subscribed to your dig for your dinner newsletter! Another great reason to check my emails daily! Subscribed to the newsletter. I’m excited about the “all garden, all the time” theme for this website. All time favorite veggie would be asparagus!! I was so excited that it worked! Botanical Interests cube of butter yellow squash is the best. I still have some stored in the garage from the last harvest. Great vegetable!!! I follow you.on both of your Web sites through Facebook. Sugar snap peas. They are the most reliable thing I’ve grown. My husband’s favorite edible item to plant is potatoes. When a potato starts to grow eyes, he plants them randomly in the yard. I never know if, when, and where a potato is planted until stems spring up! Pumpkins! I already subscribe to your newsletter. BONUS! Tomatoes, especially cherry tomatoes! I love being in the garden and grabbing some for a quick snack. All-time favorite–zucchini/squash! I grow them upward instead of outward! How can I pick just one???? I’m most looking forward to fresh peas right now. Acorn squash. Love, love, love it. So do my kids! I commented on hubby keeping the seedlings alive. My favorite garden vegetable are bush green beans! Leeks are my favorite veggie to grow in our garden. My favorite to plant is tomatoes. I always have several varieties. Peas! Wait..no, tomatoes! No, wait! Peas! Yes, definitely peas! I love planting eggplant. Not many of my friends grow it, so it feels pretty unique. I like to plant Zucchini. Favorite vegetable to grow: Cherry Tomatoes. My (then) 11 month old daughter loved to eat them off the vine! Liked the page on facebook and shared on my timeline! Tomatoes or maybe Zucchini or maybe Sugar snap peas, so many favorites!!! I subscribe to your news feed! It would be either tomatoes or cucumbers. Bush beans, they are such fun to pick. Different types of lettuce and zucchini When we moved to the desert a few years ago people thought I was crazy starting a garden. Now friends are starting their own gardens. That is a SUPER hard question… I feel most accomplished when my tomatoes grow, but my honeybees are super happy when my cucumber vines produce and produce and produce! And, I have not had much luck with pumpkins, but I always have about four that survive my gardening skills, and I have to say, I am way too proud when I place one by my door that I GREW!!! Zucchini. I live at 7200 ft., so growing gets complicated without a greenhouse. Zucchini does well in this climate every year. hrm. This didn’t link to the right post… It pasted my last link (luckily it’s pretty awesome too)… https://www.facebook.com/digforyourdinner/posts/1710878479126242 <—-this should be correct! sorry! Lima beans..I love baby limas! Green beans. Nothing beets fresh green beans from the garden. Peas. I love that my kids can run out to the garden, grab a handful and just start eating them. I shared your contest on Facebook. I left a comment on your baby veggies contest post. I’m subscribed to both of your newsletters. Tomatoes – any kind, any way…the best. Okra! They are beautiful plants and when grilled, they become my favorite summer vegetable. Spinach, any kind of spinach. Just call me Popeye! Sent out an email to friends! Subscribed to both your email newsletters! Shared Dig for your dinner on my facebbok page! My husband will say lettuce because I cut it and it grows back so I can cut it again and again. I love home grown Tomatoes. Zucchini – so many things you can do with them – straight-up vegetable, zucchini pancakes, zucchini cake, sliced on pizza, etc. Yum. Tomatoes – fresh, juicy tomatoes! I love to plant tomatoes. I plant in containers. Cucumbers! They grow so well here and I love them for salads and juice. Oh goodness, Green peppers, tomatoes, zucchini, peas, beans…. but I think our favorite is tomatoes! My favorite thing to plant in the spring is sugar snap peas! I subscribe by email both to your original blog which I have read for years and this new one, Dig for your Dinner. Love them both! tomatoes !!!! I am a subscriber to your site. Love it!!!! The thank you! My favorite this last year was bok choy, even though earwigs ate most of the first planting, and caterpillars ate most of the second. Such a nice addition to stir fry, and something I would not buy at the grocery store! I love growing tomato in my garden, they taste so much better than store ones! It’s so hard to pick one! I guess it would be tomatoes. Liked your page on Facebook …. I can’t enter. I am “told” that if I bring one more seed into this house I will have to find another place to live. LOL But Mavis, you are the best….thanks for all you do for all of us….keeping us on track and challenging us to keep up. I love to plant my own spinach! Love your blogs! No doubt about this answer! My favourite veggie to plant is Cherokee Purple Tomatoes!! YUMMY! I love planting sugar snap peas. I can never get them from garden to table without popping them in my mouth the minute they’re picked…. pod, peas, and all! I forwarded this email about the giveaway in an email! Chickens, bright lights Swiss Chard is where I left my comment. I already subscribe to your daily emailed newsletter(s)! I am a city girl who does not like the idea of playing in the dirt. My kids want a garden this spring and we are going to try different things. First pumpkin, because I hear it is really quite easy. The others are up to what I read from you. Good luck to us! My favorite item is Tomatoes, but starting to have nightshade issues due to health conditions so I may have to find a new favorite. Tomatoes. I love to walk buy and grab a handful of cherry tomatoes while I’m working in the yard. Pumpkins, aren’t they just the happiest things to grow. They have those big yellow flowers in early summer that just make me smile when I look out the window. Than I pile them up on the porch for Halloween, than I eat ’em. Tomatoes for sure are my favorite in the garden. Couldn’t pick just one though! And I follow you on Pinterest! They’re not really veg but I do so love to grow my own garlic and shallots. They make everything else taste better! Definitely lettuces! All different kinds of lettuce! We love to plant different varieties of tomatoes, but Julliett is our favorite small tomato. Thanks. I like your Facebook post and made a comment. I already receive your newsletter-it is wonderful. Thanks. I commented on the Lentil Stew with Butternut Squash post. I had seen that earlier, but this time it was clear that I need to make that! Probably tomorrow! Thanks! I subscribe to your daily newsletter. Anything in the bok choy family. We just love love love them. I love planting peas–mostly to eat while I’m out in the garden. Tomatoes are still my favorite. All types! I like you on Facebook and probably Pinterest, too. I get your daily email newsletters. Peas have to be my favorite thing to plant in the spring. They are so great to eat. Cucumbers, they were my first true successful planting in my garden! Love both of your blogs! Hmmm, hard to pick just one but guess I’d have to say tomatoes! I “liked” you on Pintrest and left a comment there as well. Also on Facebook. Oops forgot to say that the comment I made was about my new seed starting area. It had a picture as well. I subscribe to your newsletter. Look forward to it everyday. successful crop in all the years of gardening. I’ve liked you on Facebook and I follow you on Pinterest. Zucchini is my favorite, lots of dishes to make with it. Left a comment on the post of Lucy digging potatoes. Cherry tomatoes. I always end up with way more than I can pick. I follow you on Pinterest. Being vegetarian, there isn’t a veggie I don’t love. But, I think my all time favorite are tomatoes. Who doesn’t LOVE tomatoes. Liked (LOVED) your Facebook page. Shared your Facebook PAGE and the giveaway post. I commented on your little seedlings that survived vacation! I love growing tomatoes! So many varieties to try and so many ways to enjoy them. Green beans … every year I think I plant enough to put up, but we eat them as fast as they grow!! Subscribed to your newsletter so I don’t miss a thing. I follow you on facebook and instagram! Sent out an email to some of my gardening friends to spread the word! I left a comment on Lucy helping dig your potatoes … my sweet dogs aren’t as selective as I’d like them to be! I love growing green beans so I can make DILLY BEANS. so awesome. I just sent out a group email to my friends who are gardners and homesteaders in Vermont- to let them know about your new site. Thanks for being here. My very favorite thing to grow in the garden is tomatoes. Subscribed to your newsletter and enjoy reading along. I left a comment on the rhododendron post. My all time favorite is all the different types of tomatoes. Definitely a hard question! Peas are probably the favorite- they are very productive, and my kids love to help pick them. I’ll probably end up planting a second row this year. My must plant every year is tomatoes! Liked your page on Instagram and Facebook. Commented on this giveaway post on Facebook. my favorite to plant is tomatoes! My favorite plant was a potato. After a lot of straw and tender loving care when I went digging for my ‘treasure trove’ of potatoes I almost missed them. I had two golf ball sized taters. We spent quite a bit of time laughing over that; although, I am going to try again this year. Tomatoes are my favorite to plant. I am a follower. I receive your emails. I wasn’t expecting so much in one email: recipes, coupons, what’s on sale right now, ideas for saving money (was expecting that), it is seriously impressive. I grew Thai Eggplant this year, which is so beautiful! Liked you on Facebook. I’m afraid I don’t do instagram and I can’t remember if I follow you on Pinterest. I know I pin many of your posts (that is how I came to this site in the first place) oh, well. Last comment from me. First this is a good way to see all the ways you reach out to the public. I rarely think of businesses on Facebook but it seems there are many. Second: the photo on which I commented was the chicken with chard. My chickens are often a hoot and you are helping me learn better how to keep them well fed and entertained. Thanks. Goodness, almost forgot the most important entry – Share! Went back to FaceBook and shared the give away to my friends. Thanks again. Roma tomatoes. Delicious flavor, they don’t need a lot of babying, great size to pack in a lunch and super hardy. I STILL have tomatoes rippening on my window sill and in Michigan when it is now 9 degrees outside that’s sayin’ something! My favorite veggie to grow are green beans. They’re my favorite vegetable and they are easy to grow. My favorite thing to plant is peas! Can’t get enough! Beets (since tomatoes and strawberries don’t count 🙂 ). I’ve subscribed to your newsletters. I love to plant a mesclun mix for wonderful salads all summer. Sugar pumpkins, for sure! So versatile — soups, stews, pie, pancakes, muffins…yum! That is an extreamly difficult question, I’ll have to go with tomatoes since you can’t buy good ones in stores. I liked your facebook page along with sharing your giveaway, I already subscribe to both emails and look forward to reading both. I also commented on your Laurel Hedge post. Hands down, tomatoes are my favorite to plant. My favorite are tomatoes. I have to have tomatoes everyday, I’m addicted!!!!!! I subscribe and get your email daily. First thing I read . I follow you pretty much everywhere. I get both of your newsletters! Couldn’t help myself it’s a tie. My all time favorite thing to grow is Snow Peas Mavis! Technically, I am my dog on facebook (I so dislike social media– except your blog of course! I did comment on one of your posts and I did share this with my “followers”, Ruff! I follow u on all those sites. I left a comment on the lentils and squash stew post. I commented on Lucy’s pic posted on 1/7, where you said she loves to dig potatoes. Did you put her on a diet? She looks leaner than before! I sub to your newsletter. My favorite vegetable to plant is tomatoes! Store bought can’t compare to homegrown. My favorite variety this year was Tumbling Tom – a cherry tomatoes that I grew as a hanging plant due to my limited gardening space. I had so many cherry tomatoes from one plant that I pickled and canned them. I also have to have Lemon Cucumbers! I liked and follow you on Facebook and Pinterest.. I also subscribed to your newsletter! I subscribed to your newsletter – thanks Mavis! My favorite (right now!) is green beans. They are so easy to grow, taste fantastic and make great snacks. I subscribe to your newsletter(s) for years! I commented on your post about grow lights! Peppers, any and all. We use peppers at every meal, although this year I’m looking for Habernero, Chipolte, and would love to find some Ghost peppers to spice things up. Wanting to add them to this year’s blend of chow chow. My favorite vegetable to grow is green beans. Lots of ’em! I just need more hands to keep up with the picking and canning! I follow on Facebook, and Pintrest, I commented on the contest, and shared on Facebook. Sugar snap peas, I receive your news letter and Facebook. Love your Dig for your Dinner January book and look forward to February’s ego ok.
Like being asked to choose your favorite child, but I would agree tomatoes especially sungold cherries. My favorite vegetable (although its a fruit) to grow is tomatoes. Basil! It smells so good and it grows so well for me! What a blessing a box of great seeds would be! My favorite thing to grow is…….carrots! Cucumbers, the small pickling type. We cannot get enough of them, it’s an addiction! Favorite thing to plant is basil! Lots of pesto takes lots of Basil. I think Zucchini is my favorite – It’s so versatile and easy to grow – it never fails. I can never get enough of it LOL!! I LOVE planting cucumbers. We eat those like crazy! Legumes 😉 I truly can’t decide between peas which signal SPRING and beans which signal SUMMER. I have a love affair with both and their climbing ways. My favorite thing to plant in the garden is snow peas. Easy, peasy – get it? Pole beans are my favorite. My kids cut their teeth on them. Looking forward to my grandkids chewing on green beans this summer. My favorite thing to plant is cucumbers. We love the small ones that we can just pick and eat! My all time favorite plant to garden is peas. They never make it in to the house- we stand in the garden and eat them out of the pod! I LOVE me some parsnips, because they are halfway between my two favorite veggies.. carrots and potatoes! My favorite veggie to plant is carrots because my girls still get excited to pick them when they see what is beneath the surface…pure magic! Yes, I follow you on Faceboob and Instagram. Yes, I’ve spread the word on spcoal media. Yes, I’ve made a social media post. Wow! Tough question . . . there are so many!! My favorite would be Mache (corn salad). I like a veggie that tastes amazing and can survive extreme weather conditions (i.e. zone 7 winters). I also follow you on Pininterest. All time favorite vegetable to grow, which is really a fruit, is tomato. We go crazy over them! My favorite seed to plant is cherokee purple tomatoes. They make the BEST tomato sandwiches!!! I love to grow green beans! I LOVE garden-grown tomatoes, but I have yet to have any luck with them. So far out of things I can grow, my favorite vegetable is okra. I never had it until I moved to Texas, but it has quickly become a summer staple. I’m following you on Facebook, and I’ve spread the word! I’m actually hosting a seed swapping party this weekend (inspired by you), and I let everyone know (via Facebook) they can enter for some free seeds! Snap peas!! I always get an abundance of them and they are so easy to grow!!! Tomatoes are by far my favorite plants in the garden. You can use them when they are green or red and make so much with them. Liked – Dig for Your Dinner (already liked your One Hundred Dollars a Month FB page). Commented on the Slow Cooker Vegetarian Lentil Stew with Butternut Squash recipe. Also ‘shared’ the seeds giveaway. I like to grow green beans, but I love to eat potatoes!!! I love lots of tomato plants in my garden! I subscribe to your daily emailed newsletter. I love to plant herbs – so nice to pick a bunch of basil or cilantro! I love harvesting root vegetables like potatoes and parsnips and turnips. It might be lame but, really, carrots are probably my favorite! I use them in practically everything I cook! Love your style & life choices! Thanks for sharing yourself with the big, wide world. I am an okra fiend! Can’t wait until the summer to get my okra fix in. it has to be tomatoes!!! I love trying new varieties and am also excited when I find a volunteer popping up. Sometimes the mystery fruit is the best! Tomato, if I plant nothing else I always grow these. I follow through feedly & never miss a post! I commented on the ‘starting lettuce from seed’ post from Dec. 15, 2015. My FB name is Jenny Young. Favorite garden plant by far are my tomatoes! If I grow nothing else, I MUST grow tomatoes! Heirloom tomatoes, especially the black varieties. I already subscribe to your newsletter. Favorite vegetable to plant (though I know it’s technically a fruit, yadda ya ya) has to be tomatoes. We did not have a great year with tomatoes last year (or really most of our garden) but even the few that we were able to pick were just magic to eat. Love fresh-from-the-garden tomatoes! I receive both your newsletters via email! because I have the most success with them…..basil, cilantro and other herbs. Our favorite vegetable to grow is tomatoes. We eat them for breakfast, lunch and dinner during their peak season. Yummy! I have just recently subscribed to both of your email newsletter. My favorite is probably zucchini! It is so easy to grow! I also liked you on Facebook and subscribed to your daily newsletter. My favorite thing to plant in my garden is tomatoes. I follow you on email, and facebook, I am also looking forward to planting and harvesting beans although I am hoping I have much better luck this year with them. I had trouble with fully developing. Would love to win these seeds. I am sharing this through facebook. Green beans-I love,love,love fresh cooked beans!!!! I commented on “My happy place”. I love planting carrots! Why?… because my kids and their friends get such a kick out of pulling them up and chomping on them Bugs Bunny style. Most of the kids in the neighborhood have never gardened before, and they love holding a freshly plucked carrot with the long green tips on the end. Swiss Chard – I love that it is cut and come again and grows throughout the year where I live. tomatoes. They are so versatile and all my kids will eat them. we have used them in your heirloom sauce, sundried them, eat them fresh, make salsa, you name it! Flax, they are so pretty when they flower! I liked you/follow you on Facebook. I subscribed to your daily emailed newsletter! Bush Beans! Easy to grow and can look so neat and tidy. Just liked you on FB…already get your newsletter and read it. Today it is beans because my 4 year old daughter has been talking about eating beans all day today, she can not wait! I absolutely tomatoes! They are a must but cucumbers too are close! Commented on the planting lettuce guide! My favorite vegetable to plant is radishes because I know they will grow and peas because they are so good. My all time favorite vegetable to plant is Cherokee Purple tomato. They grow well here in Central Florida and taste delicious! Tomatoes for me are the easiest. I love planting lettuce and herbs! My favorite is Musquee de Province pumpkins (also known as Fairytale pumpkins)… they are beautiful, look like Cinderella carriages, and taste wonderful. 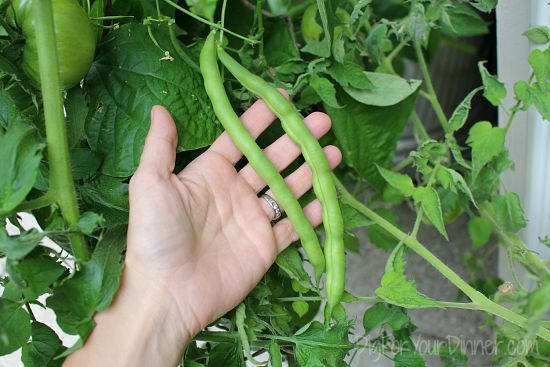 There are so many things in the garden that we love, but sugar snap peas are probably the universal favorite. I liked you on Facebook and commented on the post about daffodils coming up. I’m already subscribed to your newsletter. Oh my goodness I love to grow tomatoes. . . and zucchini and pole beans. I could go on and on :-). Left a comment on FB about garlic shoots. I love tomatoes. They are great by themselves or in many recipes. Also, I follow you on Pinterest. My favorite? That’s a tough one, but I’m going to have to go with the good ol’ tomato. Fresh, stewed, diced, sauced, mmmmm. So versatile! I liked you on Facebook. And I still like you now. Is that weird? #1- My favorite vegetable to grow is tomatoes! #2- I shared this giveaway with my friends via email. My favorite to plant and harvest veggie is zucchini. I grow tomatoes. Everything else is hit or miss. I shared on Facebook.